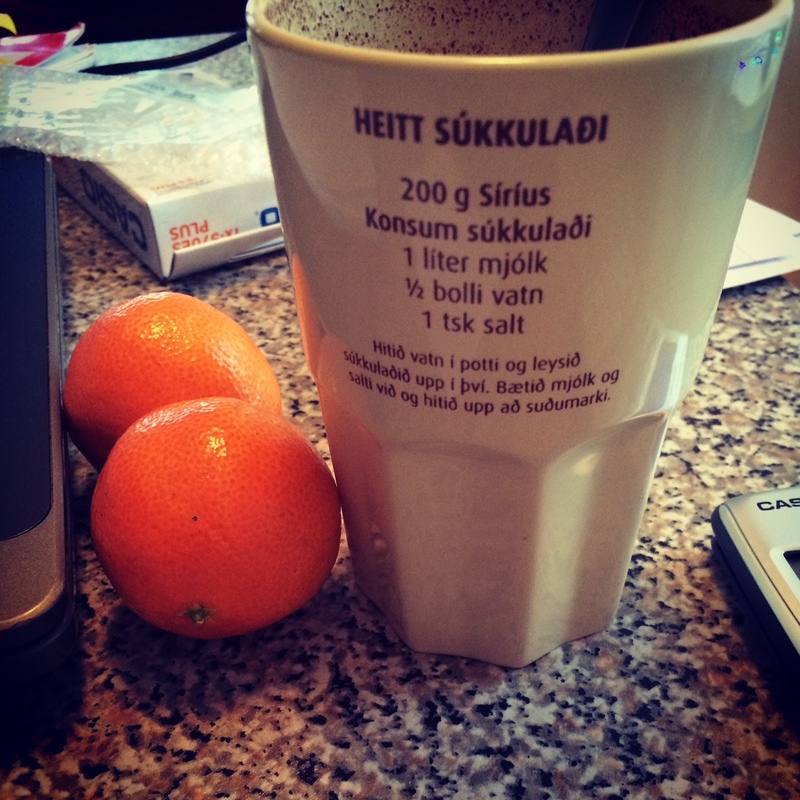 It’s a Vegan hot chocolate recipe that is very traditional here in Iceland specially for the holiday season. So here it is. 200 grams vegan dark chocolate. 1/2 cup or so of water. So you add your chocolate and water to a saucepan. Add the non-dairy milk in and wait till it reaches boil. Then take it of. This is often served with whipped cream on top. I’m going to try the coconut milk cream on top over the holidays. I’ll let you now how it is and but in a recipe for that later. But this time I was just trying the recipe to see if it worked with non-dairy milk. And it did. I cant wait till my exams are over so I can start putting up more recipes.